Sirdar fashionable, fancy or lace yarns include a wonderful range of new and innovative fibres, gorgeous textures and unique colour effects - perfect for all those stylish knitting projects. Alpine by Sirdar is the most realistic fur effect yarn we’ve ever developed and we think you’ll want to wear this cosy luxurious yarn all winter through. 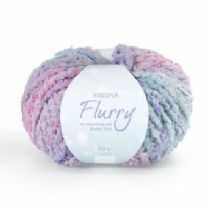 Sirdar Funky Fur is the UK’s favourite eyelash yarn, its softness is perfect for hand knit trims and accessories. Funky Fur comes in an exciting range of colours to co-ordinate with our more classic yarns and livens up baby, children’s and fashion garments. King Cole Opium Palette is a popular cotton mixture fashion yarn with a slub element for knitters who like a more interesting texture for their garments. The Opium Palette colour range includes some exciting variations....certainly something for everyone, hot carribean reds to pastel baby pinks and pastel blues to a marine richness of turquoises. Scrummy! 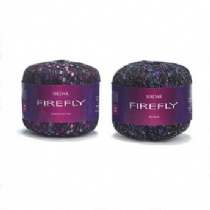 Sirdar Firefly is a gorgeously soft, light yarn that comes in a range of 6 dramatic evening colours. We also have 6 shades in the sensational Firefly Metallic – each with the addition of a fabulous metallic thread. Both yarns come in a fascinating ladder construction and are easy-to-knit on 10mm needles – they’re designed to create flatteringly delicate hand knits for evening or trendy scarves to add a dash of subtle metallic lustre for every day. Sirdar Funky Fox is a fantastically fun and eye-catching yarn. 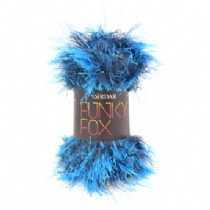 Funky Fox mixes the fabulous texture of a fur yarn with amazing fluorescent colours and black. There are a variety of stylish leaflets for women and girls with designs for trendy garments such as a waistcoat and bolero as well as cool snoods, scarves and leg warmers, which can be knitted from as few as 2 balls. Not only is this yarn fun to knit and wear but it's machine washable too! Sirdar Hush is a fabulously soft, mohair blend lace weight yarn that comes in the most beautifully soft, colour wash shades with a subtle hint of metallic glitter running through. This yarn is wonderfully fine and can be knitted on 5mm needles to create fabric that’s as light as air – it’s perfect for delicate wraps, scarves and snoods and creates the prettiest hats too. It makes fabulous sweaters and cardies in softly brushed, stripey colours to wear all year round. 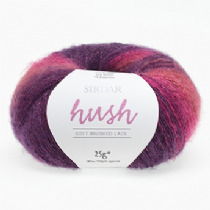 Sirdar Hush lace is machine washable. Sirdar Moonstone is a beautiful yarn that comes in a range of jewel tones, as well as white, grey and black, each shade is dusted in clear glass beads that creates an effect that is absolutely stunning. To accompany this gorgeous yarn we have a range of designs for elegant garments and accessories, what’s more the ball band comes with a free pattern for a stylish hat on it. 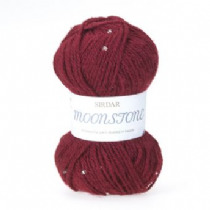 Sirdar Moonstone is machine washable. A standard chunky mohair yarn that will knit to your favorite chunky pattern. This yarn is wonderfully fluffy and has a 'temptingly' soft handle. 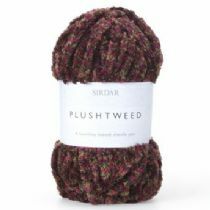 Sirdar Touch is an irresistibly soft, incredibly trendy fur yarn that you will fall in love with as soon as you feel it. It comes in a range of 10 shades that include both soft neutrals and stylish fashion colours. It is the perfect yarn for garments, home knits and accessories that both adults and children will simply adore. We have included a simple pattern for a snood on the ball band so you can have your gorgeously soft Touch snood straight away! It is machine washable on a wool cycle. FREE SNOOD PATTERN ON BALLBAND. THREE FREE FURTHER WILD KNITTING PATTERNS FOR ALL ORDERS OF FIVE BALLS OR OVER. 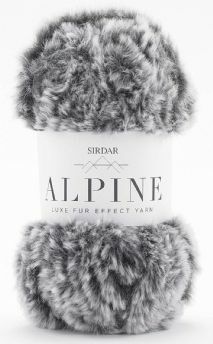 Sirdar Wild is an unbelievably soft, extremely trendy fur yarn. It comes in a range of multi-coloured shades including neutrals that create an amazing animal effect, as well as bolder brighter shades that create an incredibly stylish look. It is the prefect yarn for creating fashionable knits for women, girls and the home. What’s more, the Wild ball band has a free pattern for a snood on it, meaning you can get cracking with your wild project straight away! 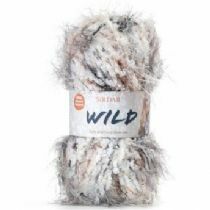 Sirdar Wild is machine washable on a wool cycle.